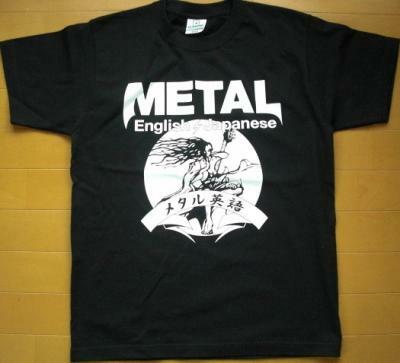 One hundred yen from every purchase made on "Metal English store", which inclues books, T-shirts, and lesson fees, will be donated to Japanese red cross. Hey, everyone, I'll be teaching "Metal English lesson" on May 28th at Mickey House in Takadanobaba. Here, you'll learn some English phrases necessary to talk about the music you love. If you're into music, metal and English, Come check it out! The lesson will be done both in English and Japanese.